a) Last year I visited a place and loved it!!! b) This will be my first shot to initiate blogging. I started working on compiling and taking pics (which my hubby helped ) that's when I realised, that blogging is not easy. It requires lot of time; kudos to all you bloggers for the time and effort that goes into this. So here I am trying my first stint at Turkish cuisine. 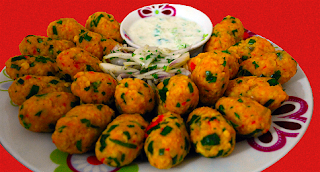 Lentil kofte is a very common dish with red lentils and bulgur(dalia/ broken wheat) made all over Turkey. 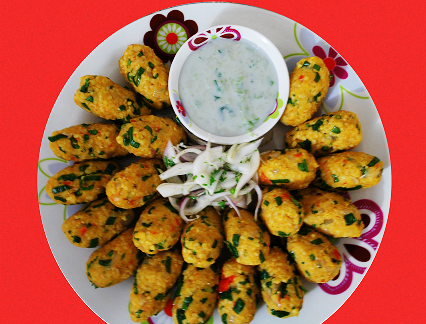 It is one of the dishes that can be eaten as a main course or served as an appertizer. It goes well with basic onion salad & yogurt dip that I am going to share. In a medium size pan, put the red lentils and 1.5 cups of water, cover and cook on low heat until water evaporates. Put the bulgur in a big bowl, add the cooked lentils, mix well and cover the bowl. You can also pressure cook (Indian way) the lentils and bulgar together.Water should be of sufficient quantity not making the mixture too wet or soggy. In the mean time clean and cut the parsley and green onions fine. Take the red pepper & tomatoes, halve and seed them before mixing them in a colorander. Heat olive oil in a pan and add the paste. Let it cook until the paste looks thick and leaves oil from the sides. You can also cool and store the paste in the refrigerator. Cut the onion in very small pieces, cook them with olive oil using a small saucepan. Add the tomato and red pepper paste, cook until onions are very soft. When the onion mixture has cooled down, add it along with the chopped greens to the lentil & bulgar mix. Now you have all the ingredients to make your lentil balls in one bowl. Mix them by hand, lightly knead as needed. If too dry, you can add more olive oil (be careful not to add a huge amount at once). Take a chunk, a bit bigger than 'walnut' size, roll in your palm and fingers to give it a shape. Shape all of the mix in this way. juice if desired. You can add finely chopped lettuce if you would like as well. In a mixing bowl, combine cucumbers and garlic. Add salt to taste. Garnish with mint and drizzle olive oil on top. Serve the yogurt dip, salad & kofte at room temperature or slightly colder. This is my submission to DK's AWED - Turkey, hosted by Saveur.